Mary Fischer joined the University of Connecticut in the fall of 2004 after completing a post-doc at Princeton University. Her research interests broadly defined concern processes of stratification, particularly by race and ethnicity. Some of the other topics she studies include minorities in higher education, immigration, neighborhood attainment, and residential segregation. 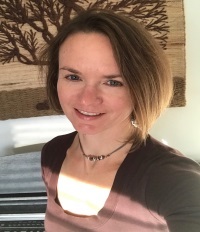 Professor Fischer has received support for her research from the AERA/NSF, the Russell Sage Foundation, and the University of Connecticut Research Foundation. Fischer, Mary J. and Jacob Rugh 2018 “Military Veterans and Neighborhood Racial Integration: VA Mortgage Lending Across Three Eras.” Population Research and Policy Review. Li, Angran and Mary J. Fischer. 2017 “Advantaged/Disadvantaged School Community, Parental Networks, and Parental Involvement at Elementary School.” Sociology of Education 90(4):355-77. Fischer, Mary J., Jennifer Lundquist, and Todd Vachon. 2016. “Residential Segregation: The Mitigating Effects of Past Military Experience.” Social Science Research 60:61-73. Fischer, Mary J., and Travis Lowe. 2015. “Homebuyer Neighborhood Attainment in Black and White: Housing Outcomes During the Boom and Bust.” Social Forces 93(4):1481-512. Colleges and Universities. Princeton, NJ: Princeton University Press.Fischer, Mary J. 2008 “Does Campus Diversity Promote Friendship Diversity? A Look at Inter-Racial Friendships in College.” Social Science Quarterly 89(3):631-55.Fischer, Mary J. 2008. “Shifting Geographies: Examining the Role of Suburbanization in Black’s Declining Segregation.” Urban Affairs Review 43(4):475-96. Fischer, Mary J. 2007. “Settling into Campus Life: Differences by Race/Ethnicity in College Involvement and Outcomes.” Journal of Higher Education 78(2): 125-61. Fischer, Mary J. 2003. “The Relative Importance of Class and Race in Determining Residential Outcomes in U.S. Urban Areas, 1970-2000.” Urban Affairs Review 38(5): 669-96.